Priyanka Chopra and Nick Jonas Are Officially Married! Priyanka Chopra and Nick Jonas wedding day details are here! 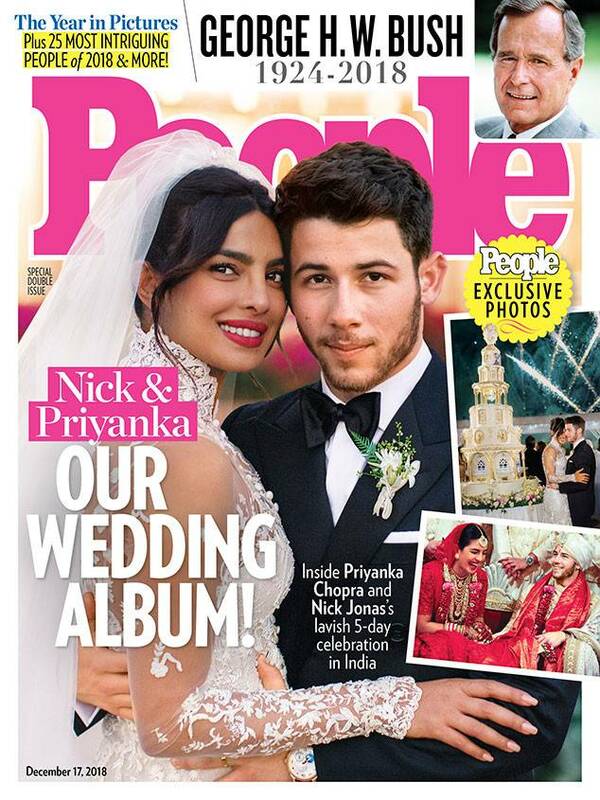 Singer Nick Jonas, 26, and Indian starlet Priyanka Chopra, 36, wed this past weekend and now we finally have photos!!! *squeals* Jonas and Chopra got engaged this past summer and leading up to their big day, it was speculated that the beautiful couple would go with two ceremonies in India that would celebrate and honor their different backgrounds, which ended up being the case. Scroll down for details and all the photos from both ceremonies! The nuptials took place at the Taj Umaid Bhawan Palace in Jodhpur, which covers 26 acres of land with 15 acres dedicated to private gardens. When not hosting A-listers, the palace serves as the 347-room residence of the former royal family of Jodhpur and is technically the sixth largest private home in the world, according to the luxury hotel’s website. Before the wedding took place, there were multiple ceremonies leading up to the main event. It started with a Hindu ritual prayer called puja, and was followed by sangeet, mehndi, and haldi ceremonies. The puja took place on November 28 at the bride’s home with paparazzi photographing the couple in their traditional, pastel-colored Indian garb by Manish Malhotra World designs. The sangeet is an evening ceremony around music and in this case, both the bride’s and groom’s families participated in a dance performance. Scroll through Priyanka’s Instagram post detailing the night below! The mehndi ceremony followed the sangeet and it is where the bride gets gorgeously intricate henna designs applied to her hands and feet in front of all the women in the bride’s and groom’s families as well as close friends. Last but not least, there is no doubt that the couple had a Haldi pre-wedding ceremony in which haldi (a.k.a turmeric) is applied to the bride and groom in order to ward off evil spirits. The haldi was most likely applied to the couple’s faces, necks, hands, and feet. There were two ceremonies held in different spots at the palace – a Christian service officiated by Jonas’s father on Saturday and a traditional Indian wedding on Sunday. For the Christian service, Chopra wore a custom dress with a 75-foot long tulle veil by American designer Ralph Lauren who has been a key part of the Chopra/Jonas relationship from the start, having invited them both to attend the 2017 Met Gala and which really kicked things off. While Lauren previously only designed wedding dresses for family, his dress for Priyanka is a true stunner; it features a high collar and embroidery that is reported to have taken a total of 1,826 hours to complete. For the Indian wedding, the couple both wore traditional Indian outfits. 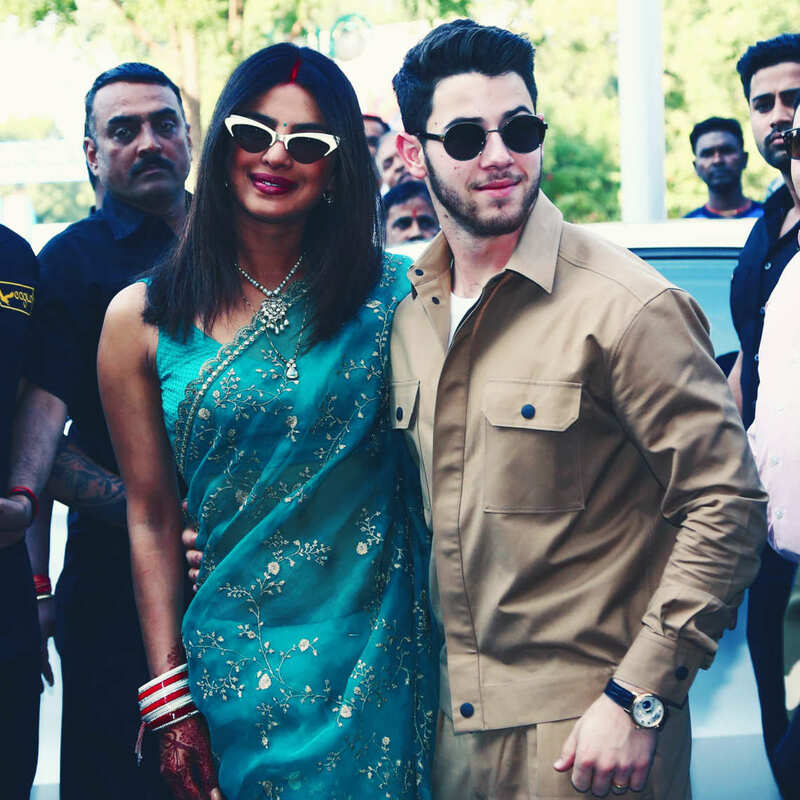 Chopra rocked a traditional red lehenga from the Indian designer Sabyasachi that took 110 embroiderers and 3,720 hours to craft while Jonas wore a hand-quilted silk sherwani with a chikan dupatta and a changer tissue safa.